Tree Of Lif3 — 8 ways you can make the most out of the Lemons in your life... daily! Im sure you have heard about the new craze or trend of how good lemon water is for you. Truth is, the health benefits drinking lemon water have been known for centuries or even millennia in many cultures. According to Ayurveda, Eastern Medicine and a lot fo Natual shools of medicine making this simple addition to your a.m. routine is a great step towards preventing or even curing some diseases. It's easy, its inexpensive and its EFFECTIVE! (See 10 benefits of drinking lemon water at the end of the slideshow). Oh and let's face it... it tastes AWESOME! PJ and I drink lemon water daily! Sometimes we even sip on it through the day. Try and make it a habit. Routine is good and helps you stay on track with not only on health but also with life in general. This is a simple routine that you can start immediately. Squeeze 1/2 lemon juice in water and it's that easy! I recommend using room temperature, filtered H2O. You don't want to shock your body with water that it too hot to too cold in the a.m. Room temperature or slightly warm is best. Ok.. here's the best part... you can make lemon water in soo many ways. Add some interesting health enhancers to supercharge your already charged lemon water. Add about 1 TBSP of Chia seeds to your lemon water. Chia provides good fats, fiber and is packed with nutrients. It helps you stay fuller for longer, boosts metabolism and energy levels! This is a great detox drink on an empty stomach. Curcumin in Turmeric is an anti-inflammatory agent and an antioxydant. It boosts brain function, helps prevent and some say even it helps cure a number of ailments and diseases. 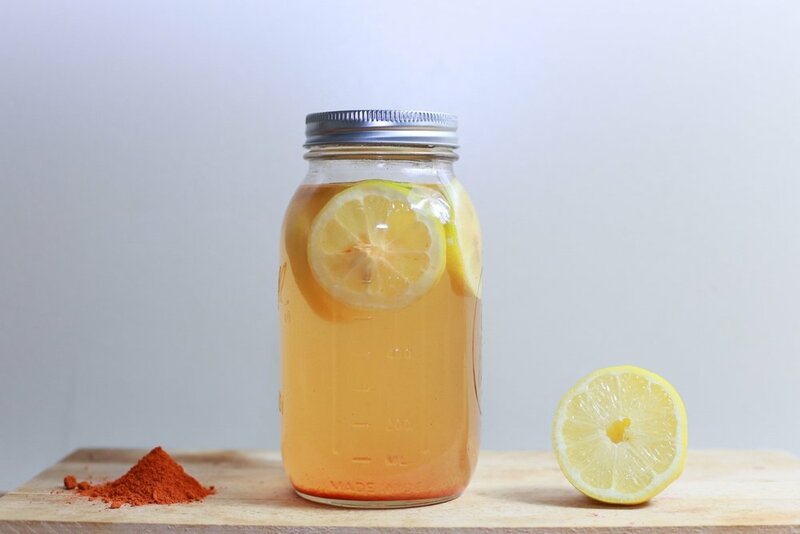 Add 1/4 (or less) tsp of Organic Cayenne pepper to your lemon water. I dont know where to begin with the benefits of this one. I found 17 great reasons why this one is awesome. Click here to find out! Add 1 tsp Raw Honey to your lemon water. Honey is POWERFUL! It improves immunity, helps with weight loss and boosts metabolism. It detoxifies and cleanses the system and soothes the throat. More reasons why lemen honey water is awesome here. Roughly cut 2inches fresh ginger and add to boiling water. Boil for about 3-5 minutes. Cool and then add juice of 1/2 lemon and raw honey (optional). Great for the throat, improves digestion and helps with weight loss. It alkalizes our body, keeps diabetes at bay and even improves the lymphatic system among other benefits. It's so fragrant and yummy! Cinnamon is a powerful healer and this mix helps with weight loss, promotes healthy hair and skin, it's alkalizing and cinnamon is also known for its anti-aging properties among so many other benefits. Find what you enjoy... sometimes we drink our lemon water with nothing but lemons. It's refreshing and alkalizing and so powerful in iteself! Add one or two or even three of these add-ins. You can even throw in some fruit and/or fresh rosemary/basil the night before into a big jar of lemon water and enjoy sipping on it when you rise. Keep it interesting and drink your lemon water daily! 10 Reasons why Lemon water is where its AT ! Lemons’ have strong antibacterial, antiviral, and immune-boosting properties, hence why it is such a popular ingredient in cold remedies. Lemons are a rich source of Vitamin C which is why they are so great for fighting colds, you can never have too much Vitamin C either. They are also a source of Potassium which is good for the brain & nerve functions. Lemons are good for balancing your PH. They have an Alkaline affect inside the body. They are acidic on their own, but when consumed they're alkaline. Drinking warm lemon water is great for digestion and assimilation. The warm water serves to stimulate the gastrointestinal tract and flush through any blockages or baddies in the digestive system. Lemons are high in vitamins and minerals that help to remove toxins, it is also a diuretic so it flushes out the system because it increases the rate of urination. Toxic material or Ama is therefore, expelled at a faster rate which helps your body stay healthy. As previously mentioned in the Ayurveda section, this is just a different explanation of the same idea. It brings you one step closer to a flawless complexion too. Lemon water purges toxins from the blood which helps the skin stay blemish free, and the body is more rehydrated by warm water so after a little time on this stuff the skin starts to look and feel more hydrated and smooth. By starting the day off well hydrated you also help to keep your lymphatic and adrenal systems healthy. When your body becomes dehydrated it can't function as well. You may become dizzy, tired, stressed, constipated, irritable etc. Your adrenals and thyroid contribute to creating energy. So, why not keep em happy and healthy? Maybe you won't hit that afternoon slump as hard as you used to. Lemon is one of the few foods that contain more negative charged ions, providing your body with more energy when it enters the digestive tract. The scent of lemon is also a mood enhancer and has energizing properties. 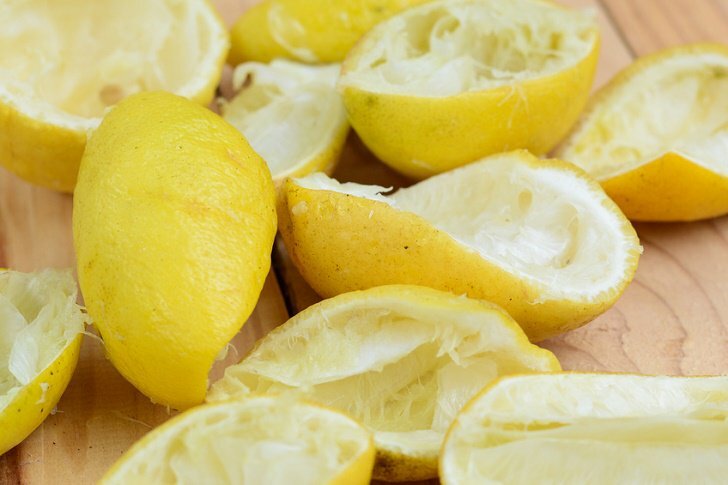 The smell of lemon juice and zest can make you feel happier, clearer, and more awake. There is also research to suggest that Lemon can help reduce feelings of anxiety and depression. Lemon essential oil is also good for this. So there you have it! Last but not the least, Always ask your doctor before starting a new health regimen anyway. We would love to hear feedback from people who are drinking this!